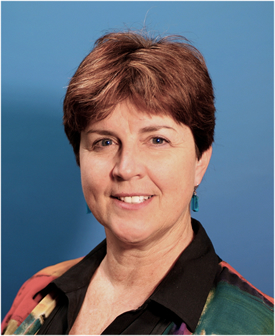 Cyndy Scheibe (PhD, ’87, Cornell University) is Professor of Psychology at Ithaca College in Ithaca, NY, USA, where she teaches courses in developmental psychology and media literacy, and directs the Center for Research on the Effects of Television. She is the Founder and Executive Director of Project Look Sharp, providing professional development and curriculum materials for K-12 and college faculty designed to foster the integration of media literacy and inquiry-based learning across the curriculum. She was a founding board member of the National Association of Media Literacy Education. The Teacher’s Guide to Media Literacy: Critical Thinking in a Multimedia World (Cyndy Scheibe and Faith Rogow, 2012, Corwin/Sage) is designed to answer the basic questions that educators have about media literacy theory and practice, and to provide guidance and examples to illustrate how they can integrate media literacy approaches into their teaching at any grade level and in any curriculum area. We adopt a broad definition of “media” – including books – and link media literacy to other literacies (e.g., traditional reading/writing, 21st century digital literacy). Other themes include: the importance of critical thinking, reflection and inquiry-based learning; evaluating information and claims presented in advertising and websites; engaging students who are typically disenfranchised or have different learning styles; teaching students to communicate effectively using a wide range of media formats; empowering students to take actions consistent with their values and media literacy skills. Chapter 4 (“When are Questions the Answer?”) illustrates the process of collectivist inquiry-based media decoding, with key guidelines and annotated examples, and throughout the book we incorporate questions of epistemology (“how do we know what we know?”). In addition to drawing on the work of many experts in media literacy education, most of the examples and lesson plans have come from our combined 30 years of experience working with teachers and librarians on the integration of media literacy into their work with students, as well as the extensive curriculum work by Project Look Sharp at Ithaca College. We incorporate many visual examples to illustrate the concepts under discussion, as well as sharing stories from the classroom (“Voices from the Field”) and frequent “Reflection Boxes” that encourage readers to engage in self-reflection on particular issues or questions that have been raised in text. The book lays out practical and classroom-tested ways to integrate media literacy into today’s classrooms, including a discussion of the benefits and challenges of doing so. Some of the most powerful examples illustrate the difference between taking a protectionist approach to children and media (e.g., “turn off the TV”) and taking a literacy-based empowerment approach that is designed to provide basic skills and self-reflection so children can safely and effectively navigate today’s complicated multimedia world. 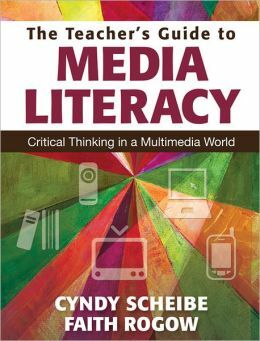 There are many academic books laying out the theories of media literacy and critical thinking, and also many “how-to” guides for K-12 teachers that provide examples of media literacy approaches for the classroom. The Teacher’s Guide to Media Literacy provides both theory and application, in a highly readable format with hundreds of practical examples and annotated lesson plans, making it particularly useful for students in teacher education courses. Unlike some recent books that revolve around the use of specific new technologies (e.g., social media, video production, wikis and blogs), this book is designed to be “evergreen” – with principles and examples that can be adapted to any form of media, including those yet to be invented. Finally, the book’s companion website provides a host of free support materials, including all of the media documents and ancillary materials for the lesson plans. I first became interested in media literacy in the mid-1990s through my research and parent workshops on the effects of television on children, and quickly came to see the importance of integrating media literacy into public and private schools at all grade levels. My co-author, Faith Rogow, came to media literacy education from a lifetime of work with early childhood educators and educational children’s television. For both of us, this book reflects the culmination of a combined three decades of work with teachers and other educators around effective ways to engage students in today’s multi-media world. I encourage educators to try some of the suggestions with their own students – little tweaks to their existing lessons and pedagogies, new threads that they can weave throughout the school year, or full lesson plans they can adapt for their classroom. And I’d encourage everyone to become familiar with the many challenges facing today’s educators and how media literacy education can help – by reading articles in the Journal of Media Literacy Education and books by Renee Hobbs, David Buckingham, Sonia Livingstone and other experts, and by following the work of organizations like the National Association for Media Literacy Education.